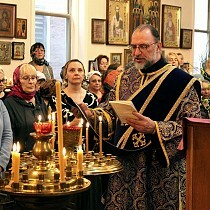 On Sunday, March 17, the feast of the Triumph of Orthodoxy, Metropolitan Hilarion of Eastern America & New York, Archbishop of Australia & New Zealand, celebrated the Divine Liturgy in Sts. Peter & Paul Diocesan Cathedral in Strathfield, Australia. 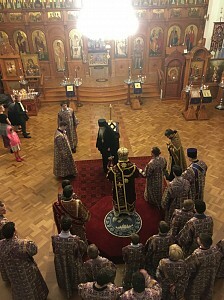 Concelebrating with His Eminence were vicar Bishop George of Canberra, and cathedral clergy: senior priest Archpriest George Lapardin, Priest Michael Storozhev, and Protodeacon Alexander Kotlaroff. A multitude of cathedral parishioners came to pray at the divine service. Marking the end of the first week of Great Lent, many of them communed of Christ’s Holy Mysteries. Upon completion of the service, Metropolitan Hilarion spoke about the origins of the tradition of the Triumph of Orthodoxy and about the Church’s teaching on the veneration of icons, which was restored at the Seventh Ecumenical Council. 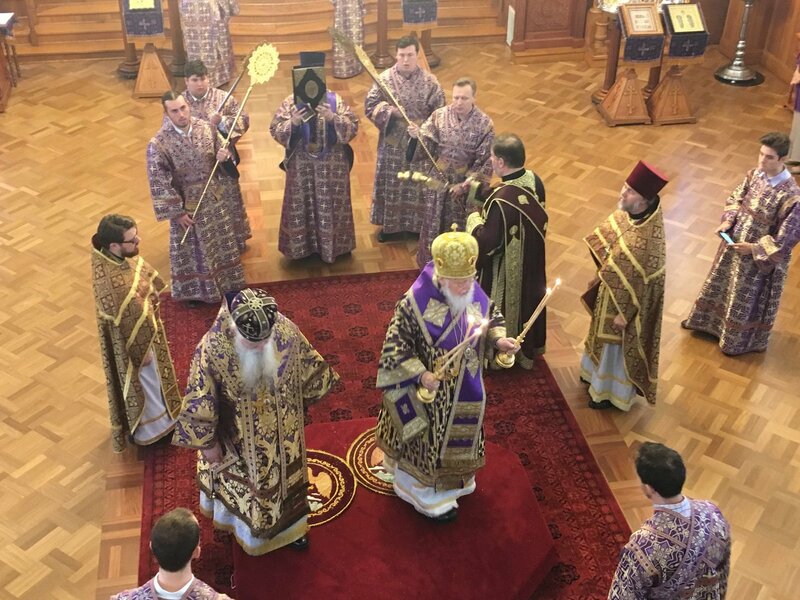 In turn, Bishop George greeted Metropolitan Hilarion, who is currently carrying out an archpastoral visit to the Diocese of Australia & New Zealand through Great Lent until the feast of the Glorious Resurrection of Christ. 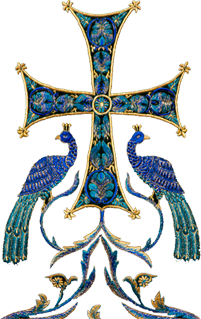 Then followed the Rite of Orthodoxy, at which the Symbol of Faith was outlined, the Holy Fathers who served Christ’s Church commemorated, and anathemas proclaimed against the purveyors of false teachings (heresies), which must be uprooted from the life of the Church. Fr. Alexander Kotlaroff intoned the proclamations of the Rite of Orthodoxy. The sisterhood of the diocesan cathedral organized a luncheon for the clergy and faithful, during which those present continued their fellowship.